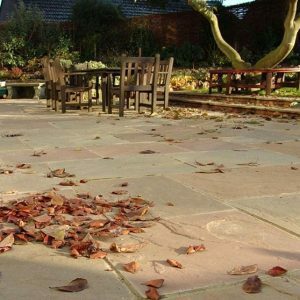 Our economical Premium Indian Stone Paving Patio Grade range has a variable, hand cut thickness between 15mm to 25mm and is ideal for use on paths and patios, and other areas where no vehicular traffic is expected. 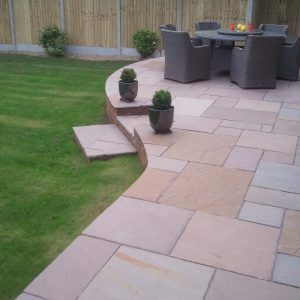 Easier to cut to shape and quicker to lay our Patio Grade range offers a choice of colour for every situation, and its slimmer profile makes the series easier to carry and manoeuvre on site. 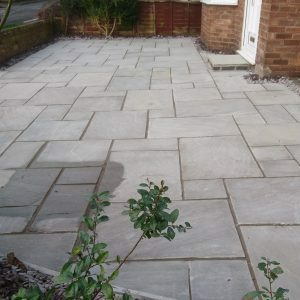 Paving Traders’ Premium Indian Stone Paving Patio Grade Range can also be used internally and for design projects where the flooring continues from inside to out.